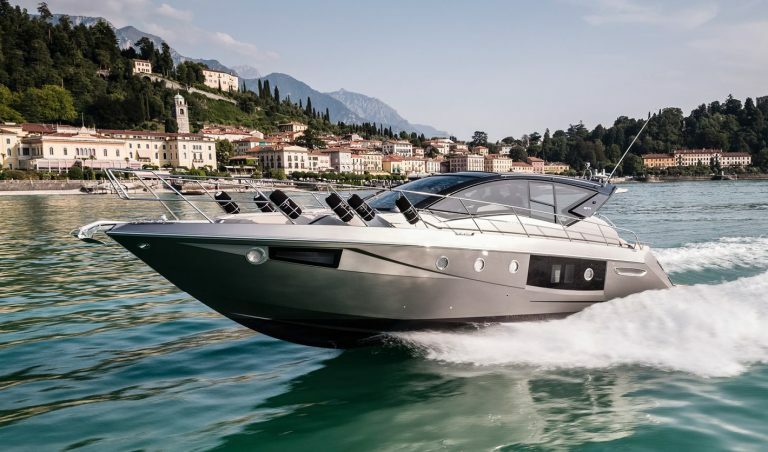 The Cranchi M44 HT No matter which angle you look at it, its a real head turner. 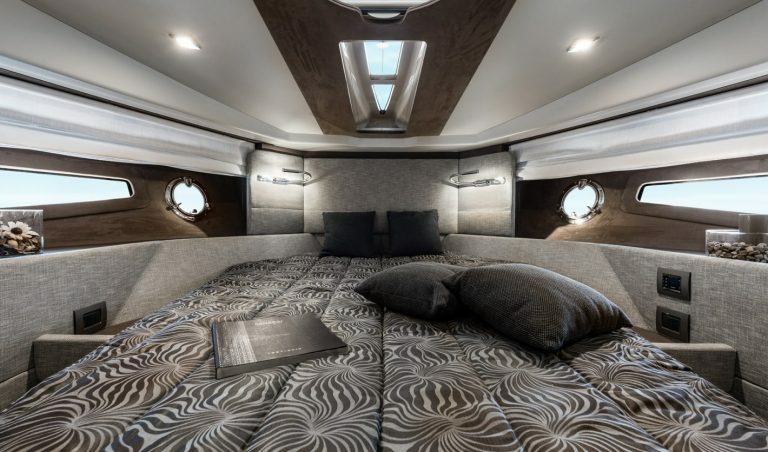 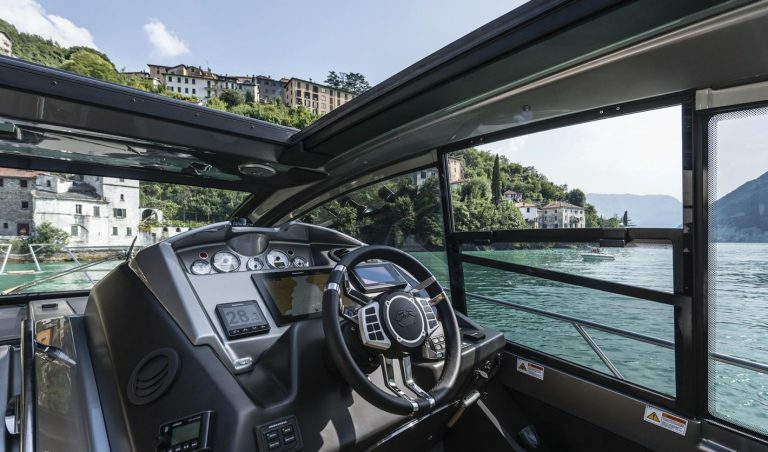 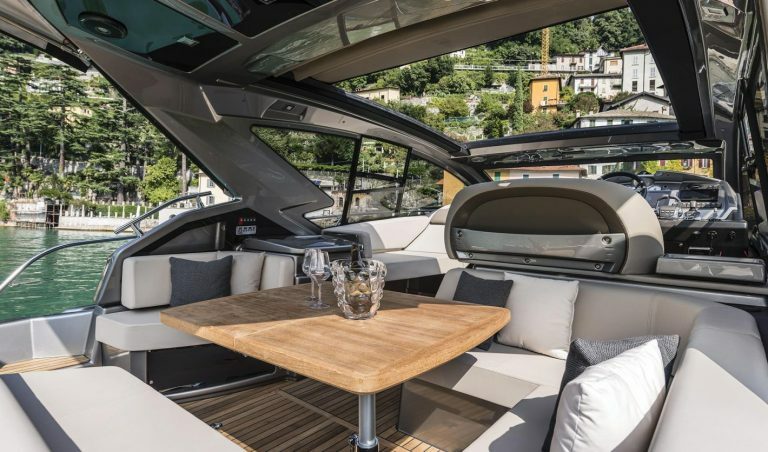 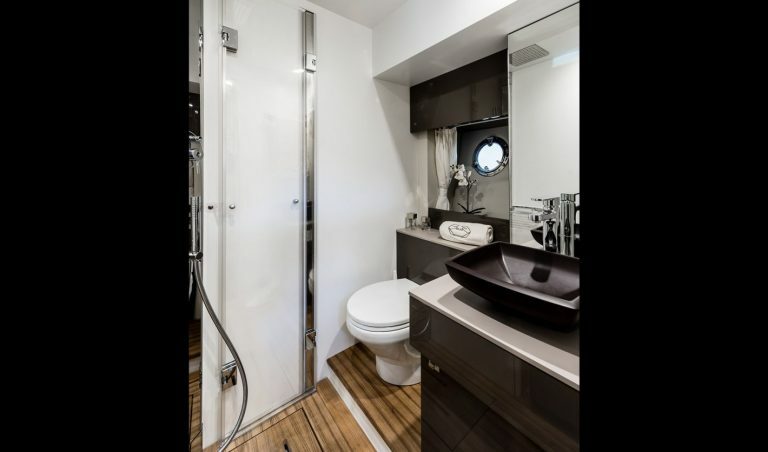 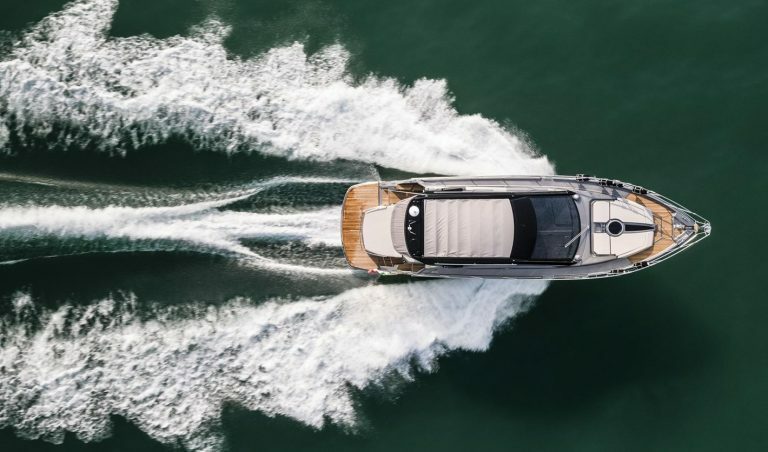 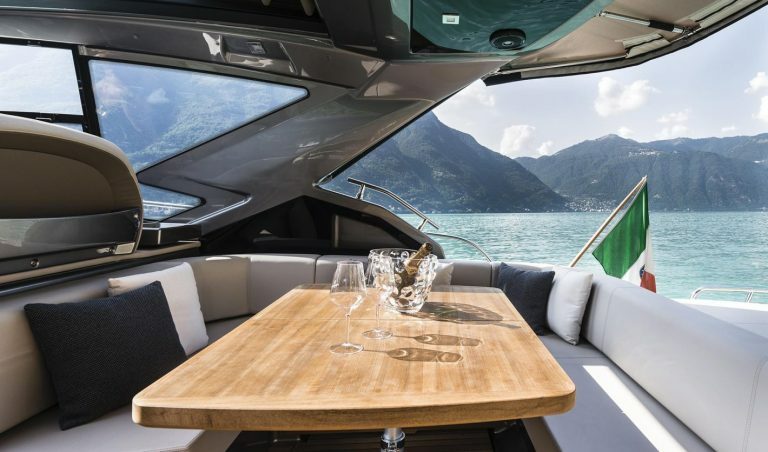 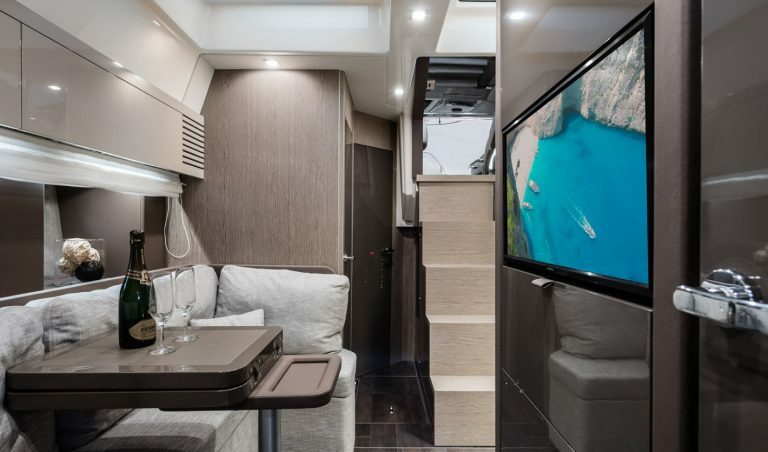 The Cranchi M 44 HT extended hardtop flows up from the deck in one continuous sweep, sheltering the helm and dinette underneath a large opening roof while keeping the accommodation completely open to the beach style aft end of the boat and its luxurious twin sun beds forward. 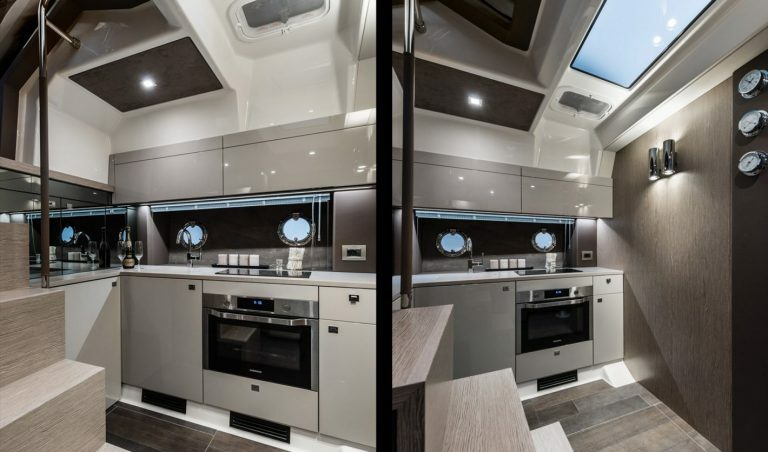 Below a central saloon is flanked by a master double cabin and a perfect three bunk cabin for the kids and their friends. 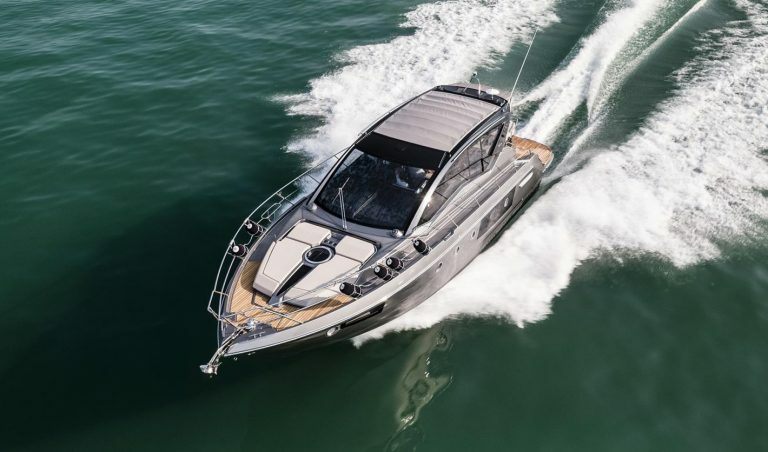 Power options run from twin Volvo Penta D6 330hp diesel outdrives to twin 400hp units.